Join moms Sarah and Stacy on The Paleo View Podcast for gossip, science and answers to your questions! The Paleo View is a top-rated, syndicated and entertaining podcast with a specific show format that feels like you’re having a conversation with your best friends. Aimed at helping people who want to live a healthy and eat real foods, the show focuses on nutrient density, low-inflammation lifestyles, medical research and science, and the hosts own personal experiences. 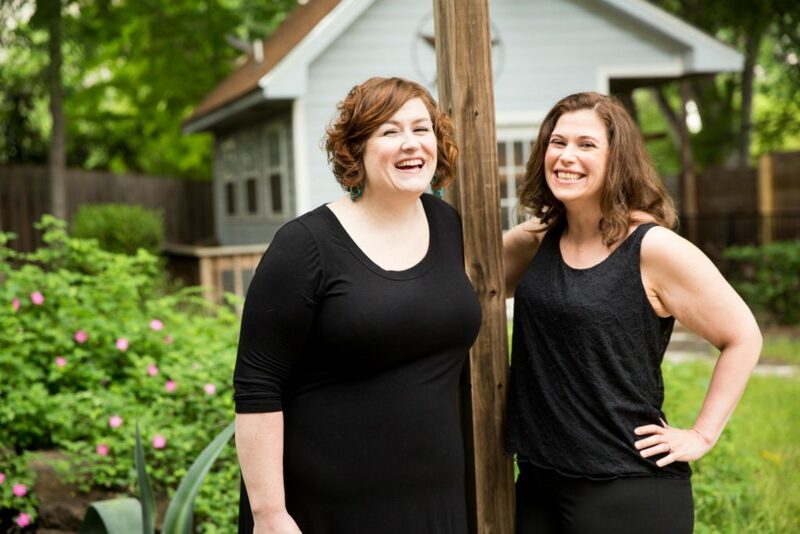 Sarah and Stacy make the show easy enough to understand for anyone just thinking about going gluten-free and offer fun knowledge-bombs for even the hardest-core Paleoites eating organ meat for breakfast… and everything in between! Topics of the show include transitioning out of a standard diet (processed foods), managing disease and Autoimmune conditions, food intolerance, nutrient density, specific health challenges, pregnancy and breastfeeding, weight-loss (S&S have lost over 250lbs combined! ), emotional and eating disorders, living Paleo as a family, interviewing Paleo “weblebrities” and so much more. Not to mention, as bestselling Paleo authors, Stacy and Sarah love to talk about food! Award-winning public speaker, New York Times bestselling author and world-renowned health expert, Dr. Sarah Ballantyne, PhD believes the key to reversing the current epidemics of chronic disease is scientific literacy. She creates educational resources to help people regain their health through diet and lifestyle choices informed by the most current scientific research. Sarah discovered the Paleo diet as part of her 120-pound weight loss journey while searching for a solution to her continuing health problems. She subsequently transitioned her whole family, which also made a huge difference in her daughters’ health. 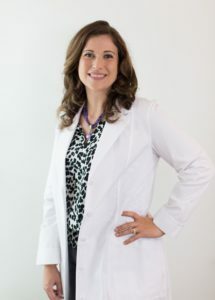 Dr. Sarah is the creator of the award-winning www.thePaleomom.com and New York Times bestselling author of Paleo Principles, The Paleo Approach, The Paleo Approach Cookbook, Go to Bed, and co-author of The Healing Kitchen. She has been featured in numerous documentaries, television appearances, radio interviews, and magazine and newspaper articles (see here). As the world’s leading expert on the Paleo Autoimmune Protocol, Dr. Sarah now offers online courses that have helped hundreds of people regain their health. Stacy blogs at RealEverything.com with her husband, Matthew. She brings home the bacon from working in a corporate world full-time while Matt is a stay-at-home-dad taking care of their 3 young boys – Cole (born 2005), Finian (born 2008) and Wesley (born 2010). A “recovered vegetarian of 7 years”, Stacy lost her gallbladder in 2009 and has Celiac disease. She is on a journey for finding the perfect personalized Paleo plan for her health and wellness. After writing a nationally best-selling book, she was featured in Woman’s World Magazine as a featured Paleo success story from losing over 135lbs using an ancestral approach to health. Although only Paleo since May 2010, Stacy has always practiced attachment parenting – an expert on breastfeeding, cloth diapering, baby wearing and co-sleeping she loves talking babies and anything parenting related! 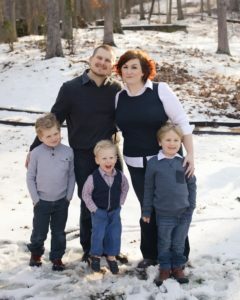 After embracing a Paleo lifestyle, she has learned tips & tricks with incorporating this lifestyle into a success story for normal, everyday families. You can find her wisdom in the Paleo Parents’ books, Eat Like a Dinosaur, Beyond Bacon, and Real Life Paleo. Matt, the 2nd-half of RealEverything.com, makes divine grain-free, legume-free, dairy-free and refined sugar-free (Paleo) culinary creations; he is the chef and caretaker of the family. He is also a connoisseur of podcasts; he listens to dozens a week (while performing household chores and trying to ignore wild-banchee-like children). He’s not a huge fan of human interaction (read: social anxiety) but is a huge fan of technology. Producer of The Paleo View is a title and job he’s excited about, including saving up embarrassing sound bytes to be used against Stacy and Sarah in future editing sessions. Make sure you always listen until the end for his nuggets of humor and fun!